Join us as we return to our home-away-from-home at The Inn at Rancho Santana, Nicaragua. Stay at the unique oceanfront property that has been exquisitely built with elegance in mind… and that includes its very own art gallery, café, courtyard and lounge.Enjoy two half-day financial seminars with Emerging Trends Strategist Matthew Carr, Options Strategist Karim Rahemtulla and Macro Strategist Eric Fry, as well as hand-selected guest speakers. 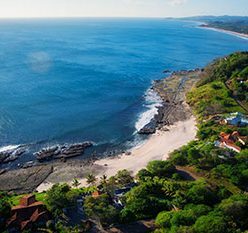 Today Rancho Santana is home to 2,500-plus acres of luxury seaside villas, sophisticated resort facilities and 2 miles of breathtaking coastline, including five world-renowned beaches. The impressive property has been featured in publications such as Fortune, Travel + Leisure, Forbes and Vogue. If you have a strong interest in global investing, traveling, networking and learning, this is the place to be. For full details and to register please click here or if you have questions please e-mail Kiara Laughran at voyagerclub@oxfordclub.com. 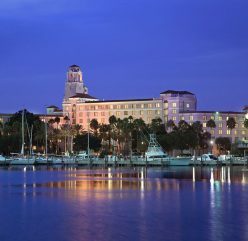 Every spring, the Club hosts its biggest event of the year: the Annual Investment U Conference. For this signature event, we spare no expense to bring you the latest and greatest from the investing world… and this year will be the best yet. Join us as we celebrate two decades of success and tremendous profit opportunities brought to life through this premier event. Year after year, we’ve seen the ideas shared at this conference soar to great heights thanks to the dozens of top analysts and their top-notch research. We’re excited to see what’s coming next. For our 20th anniversary, we’re going big. 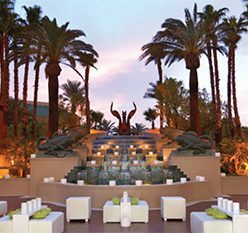 We’re thrilled to welcome you to the ultra-luxurious Four Seasons property in Las Vegas, Nevada. For more information about this event, and to reserve your spot today, click here. If you have any questions about the event, please email us at voyagerclub@oxfordclub.com or call us at 443.708.9411. 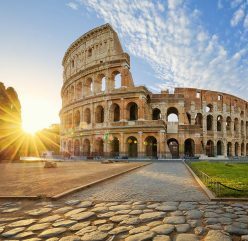 This Mediterranean adventure will begin in the ancient city of Rome (Civitavecchia), which will instantly captivate you with its iconic landmarks, superb cuisine and mesmerizing architecture. From there, you’ll travel through Italy’s Tuscany region, exploring the natural beauty of the mountains meeting the sea as you enter France. You’ll explore the glamorous beaches and liveliness of the Côte d’Azur, then make your way into the south of Spain. 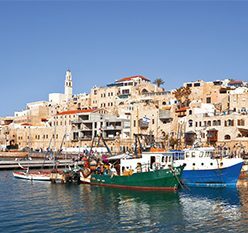 The 2018 Chairman’s Circle Wealth Cruise is your chance to travel the Mediterranean in ultimate style. 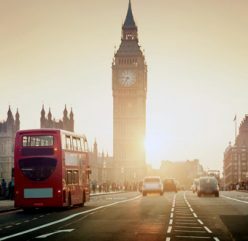 You’ll hear from Oxford Club experts Alexander Green, Marc Lichtenfeld, Matthew Carr, Steve McDonald, Karim Rahemtulla and Eric Fry, as well as Early Investing Co-Founders Andy Gordon and Adam Sharp. To view the full itinerary, simply click here. If you have any further questions or you’re ready to reserve your cabin today, please call 888.684.7245. Whistler, British Columbia, as the setting for our first Private Wealth Seminar of the year. When you attend a Private Wealth Seminar, you are guaranteed to leave with a full understanding of every timely strategy and recommendation that is given. Here you have the opportunity to meet the editors behind the effective strategies you read about each week, including Alexander Green and Marc Lichtenfeld, as well as handpicked guest speakers like Sprott U.S. Holdings CEO Rick Rule. 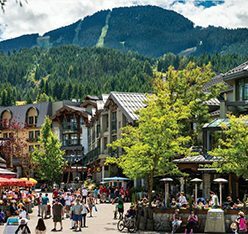 Nestled at the foot of the Blackcomb Mountains, those who attend will instantly fall in love with the simply picturesque getaway at the Fairmont Chateau Whistler. At this award-winning property, you’ll discover the perfect balance of adventure and relaxation, as well as exquisite cuisine, access to top golf courses and many more first-class amenities. For all the details, simply click here. Please email voyagerclub@oxfordclub.com to be added to the interest list. 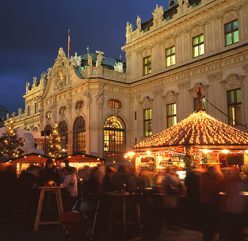 We cordially invite you to join the The Oxford Club on a fascinating historical tour of Austria’s most charming and glamorous towns – Innsbruck, Salzburg and Vienna – during one of the most festive seasons of the year. Outstanding luxury lodging, gourmet meals, special events, chamber concerts, a farewell palace dinner and an exclusive investment seminar with financial experts – including Oxford Club’s Bond Strategist Steve McDonald – are all hallmarks of this Austrian Wealth Retreat. You’ll see the best of Austria – voted the No. 1 country in the world for quality of living seven astonishing years in a row – and revel in four gorgeous days in Vienna. For the full details on this event, click here. If you’re ready to reserve your spot, please contact Karoline Bowman by phone at 410.366.5494 or 800.638.7640 ext. 113, or by email at karoline@aesu.com. 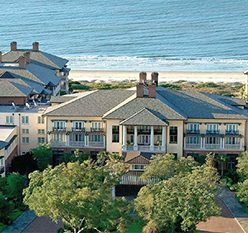 Every spring, The Oxford Club hosts its biggest event of the year – the Annual Investment U Conference. For this signature event, we spare no expense to bring you the latest and greatest from the investing world as well as a real no-nonsense look into the markets. Join us as we celebrate more than two decades of success and tremendous profit opportunities brought to life through this premier event. Year after year, we’ve seen the ideas shared here soar to great heights – and we’re thrilled to see what’s in store. To reserve your spot today, simply click here. You can also email Meg Rakes at voyagerclub@oxfordclub.com or call her at 410.895.7935 or 833.288.1434 (toll-free). Located in one of the most romantic and adventurous getaways, Four Seasons Resort Rancho Encantado offers a one-of-a-kind luxury getaway in the heart of New Mexico. Perfectly positioned amid the city’s breathtaking and pristine beauty, you’ll enjoy unrivaled views of the Rio Grande River Valley, the peaks of the Jemez Mountains and the wilds of New Mexico. 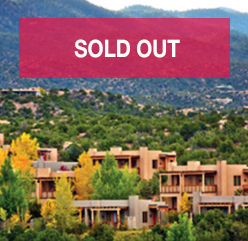 When you join us for our Fall Private Wealth Seminar in Santa Fe, you’ll enjoy gleaning the latest investment strategies and recommendations from our team of editors, as well as comparing notes with other Members at our evening reception. For all the details please click here or you can contact Kiara Laughran by email at voyagerclub@oxfordclub.com or by phone at 443.708.9411.